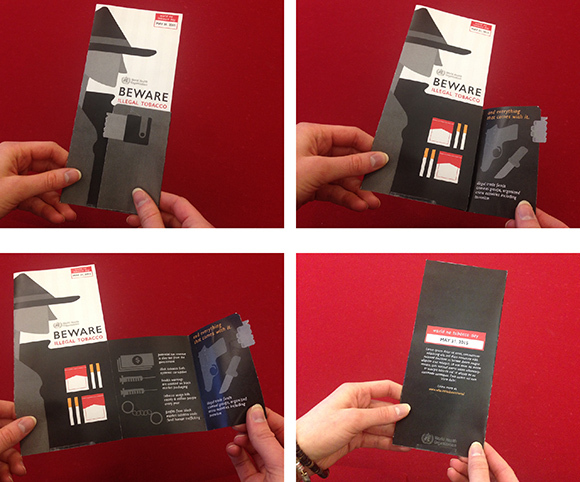 The World Health Organization approached Northlich with an RFP to create a campaign around the 2015 World No Tobacco Day. 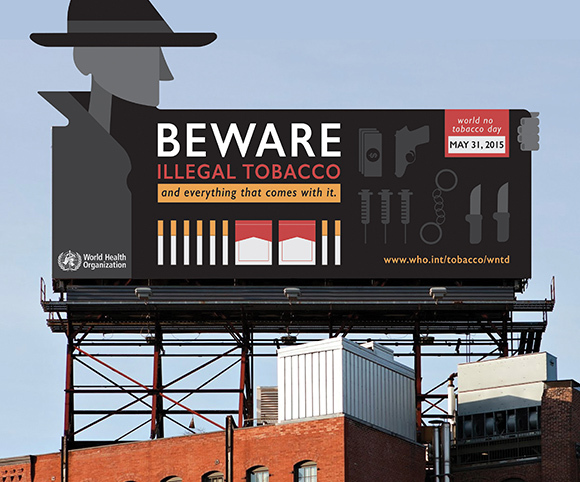 Every year, on May 31, WHO and partners mark World No Tobacco Day (WNTD), highlighting the health risks associated with tobacco use and advocating for effective policies to reduce tobacco consumption. 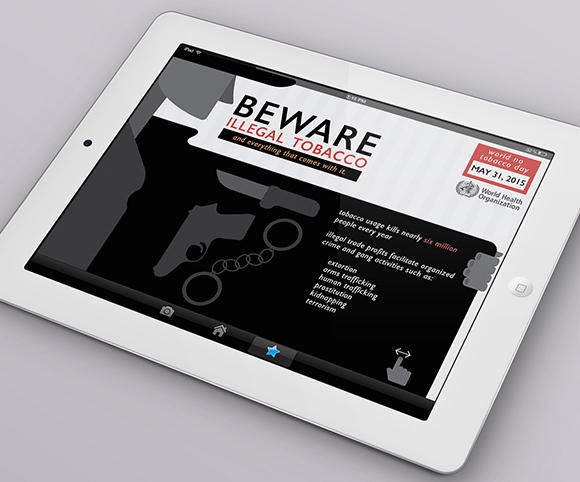 For World No Tobacco Day 2015, they are calling on countries to work together to end the illicit trade of tobacco products. From many angles, the illicit trade of tobacco products is a major global concern, including health, legal and economic, governance and corruption. As the Art Director of the campaign, I lead the charge on both the strategic and design direction to win this international account, and was hands-on in developing the creative. On the face of it, the use of these tobacco products isn’t any more or less unhealthy than legal tobacco. Rather, it has a ripple effect, funding an array of other criminal enterprises while decreasing the ability of governing bodies to combat the issue. 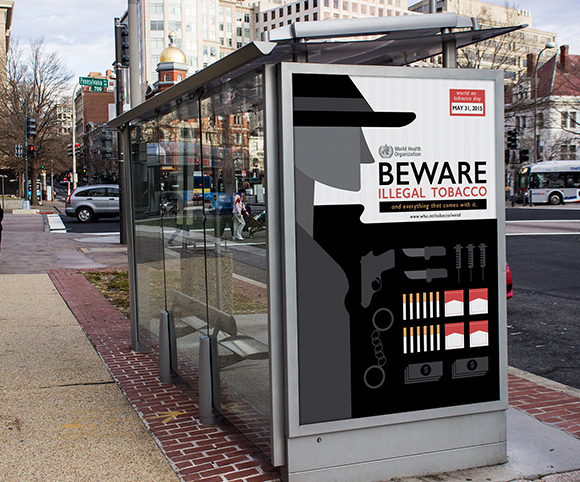 The slogan,”Beware illegal tobacco and everything that comes with it” declares the use of illegal tobacco to be a danger, but also alludes to the many detrimental effects that interacting with the criminal underworld can incur. When paired with the key visual, the unsavory stranger offering to sell you something illegal out of his trench coat, the impact is clear. The overall theme focuses on the Hollywood stereotype in a stark graphic style with angular lines suggesting the hard shadows of a back alley. 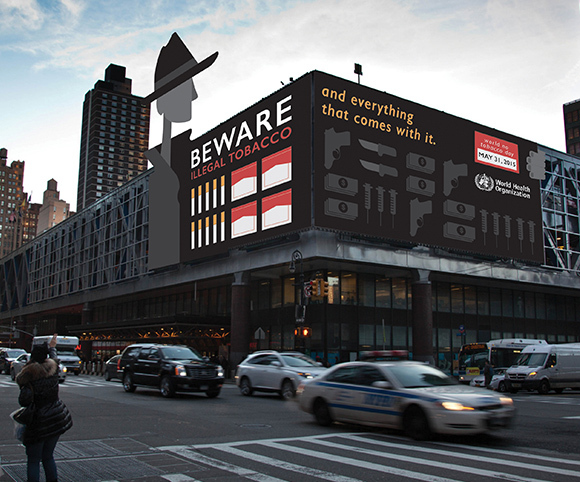 The offerings of our criminal element go beyond seemingly innocent cigarettes to include icons representing hard drugs, human trafficking and weapons, quickly linking illicit tobacco with the many other dangers connected to the trade.